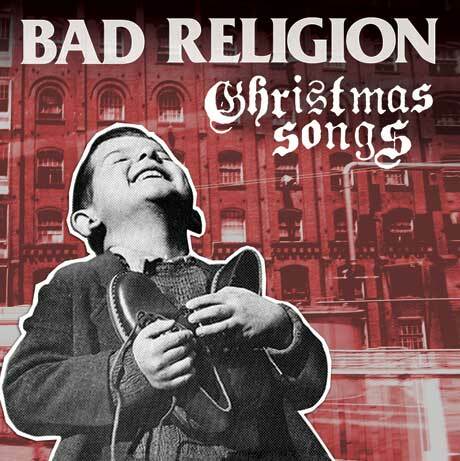 Long-running California punkers Bad Religion recently released Christmas Songs, a set of, well, Christmas songs, via Epitaph Records. Apparently that wasn't enough holiday cheer, however, as they've followed it up with an official Bad Religion advent calendar. Over the next 24 days, the group will share a new item every day on their Christmas Songs advent calendar. Today being the first of the month, they've shared a video for "Hark! The Herald Angels Sing," where they've dubbed audio of their recording atop footage of a large choir and symphony performing the same song. Check out the video for "Hark! The Herald Angels Sing" below, and if you want more treats from Bad Religion leading up to Christmas, be sure to check out their advent calendar here.